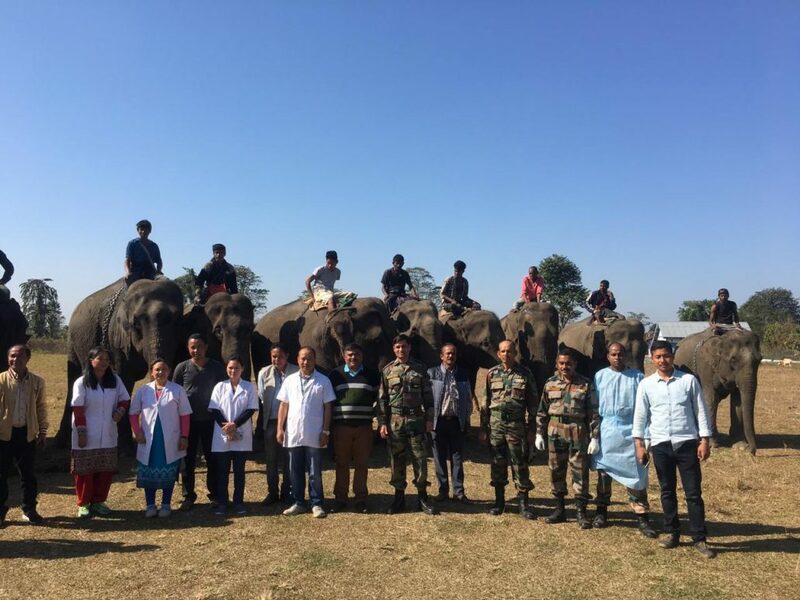 As part of Army’s continued endeavour towards providing basic veterinary facilities to the people living in remote areas, a veterinary camp was organized by Chowkham Battalion of Dao Division, at Wagun village of Namsai district in Arunachal Pradesh on Monday. A team of well qualified veterinary staff from the Indian Army and District Veterinary Services consisting of 11 veterinary doctors and dressers actively participated and provided their services. Free medicines were also provided during the camp. The camp catered for the kind of veterinary problems faced by local livestock and domestic animals and also to augment the veterinary services in the area. The response to the camp was overwhelming and over 1200 animals from the nearby villages of Wagun, Piyong and Chesing Wenko were treated. On conclusion of the event, the district administration and local village heads expressed their deep appreciation to the Indian Army for organizing the camp.